Community Service, Leadership Development and Achieving The Impossible: HRI, 25 January 2015. Motivational Videos: Film Arts Integration Into Education through the United Nations Arts Initiative. firm as the mountains. As unfathomable as the clouds, move like a thunderbolt to protect the weak." Stephen M. Apatow, Founder, Director of Research and Development of the UN NGO Humanitarian Resource Institute, kicking back into high gear, following cancer treatment in 2010. As an artist member of ASCAP and the Country Music Association, he recorded the soundtrack "The American Way" (Hearts & Minds Compilation)," 3 weeks into chemotherapy/radiation. -- uNeverGiveUp Cancer Education and Advocacy Initiative. Ultra-endurance Athlete (Cycling-Running), Olympic Development Athlete Cross Country Skiing/Rowing, Biomechanics Specialist, Mixed Martial Arts and Strength Coach, Humanitarian, CMA/ASCAP Artist, Cancer Survivor, Private Military Security Contractor. As an athlete, coach of arts, sports and Olympic development programs, the focus was to share specialized training, normally available to a privileged few, with a broader spectrum of youth across America. This led to the development of two national youth leadership and community service projects that reached hundreds of cities across the United States, the first for substance abuse in 1990, in cooperation with the National Clearinghouse for Drug and Alcohol Information (today CSAP), and the second for hunger, homelessness and poverty in 1993, in cooperation with the U.S. House Select Committee on Hunger and twenty national organizations. 1990: Cycle Across America: National Substance Abuse Campaign coordinated in cooperation with the National Clearinghouse for Drug and Alcohol Information, with John Milton Wesley, Media and Public Relations Specialist, liaison to Louis Sullivan, U.S. Secretary of Health and Human Services. -- a 6000 mile double continental crossing, in 60 days, through 270 cities. -- Daily youth and community talks, media interviews press conferences to open the first toll free hotline (1-800-SAY-NO-TO-DRUGS or 1-800-729-6686) that provided access to free print materials and audiovisual loan programs through the federal resource for alcohol and drug information. -- The largest touch outreach ever coordinated through the Office for Substance Abuse Prevention. Strategic planning of pilot project coordinated in cooperation with the New York State Division of Substance Abuse Services to develop "Guidelines for the dissemination of Substance Abuse Information and Materials." The guideline was developed to help programs effectively network public health information down to the household level through multiple communication pathways that already exist in communities. 1993: Run Across America: Campaign for Hunger, Homelessness and Poverty coordinated in cooperation with the U.S. House Select Committee on Hunger and 20 national organizations that included the Tufts University, Center on Hunger, Poverty and Nutrition Policy, coordinating body for the Medford Declaration to End Hunger in the United States. -- A 3000 mile run, 12-25 miles per day, from Washington, DC to San Francisco, California. -- Initiatives in 133 cities that included scheduled youth and community talks, media interviews to spotlight unmet needs of frontline programs across the United States. In 1994, the cross section of unmet needs defined across the United States, led to the formation of the nonprofit organization Humanitarian Resource Institute, with a mission focus to "Bridge Unmet Needs to Untapped Resources" through advocacy and policy development. 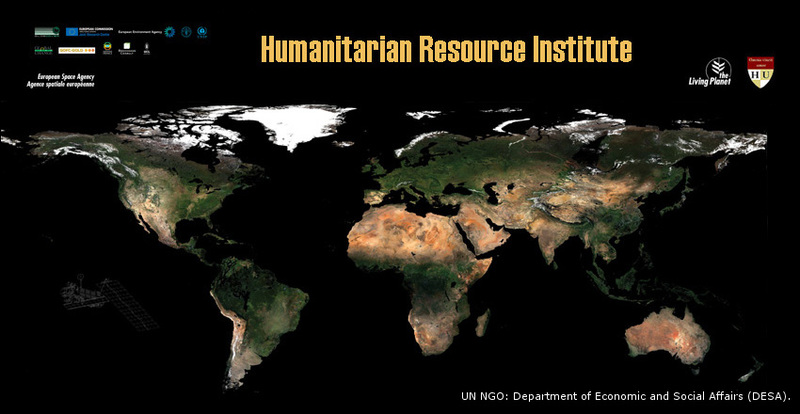 In 1999, HRI initiated the formation of the International Disaster Information Network in cooperation with the FEMA Preparedness, Exercises & Training Directorate, building upon the foundation established by the U.S. State Department for a Global Disaster Information Network (GDIN) in the early 90's. This network was used to support global infrastructure analysis and contingency planning for the year 2000 conversion (Y2K). This expanded HRI's reach from the city/county level in the United States (in cooperation with the Emergency Food and Shelter National Board Program - EFSP) to the intergovernmental, non-governmental, UN, community action, interfaith organizations and media in 193 UN member countries. The focus was to enhance strategic planning, critical analysis, expert think tank development for background discussions, peer reviewed data compilation and communications that today engages decision makers and target audiences. In 2002, the Humanitarian University Consortium (ProMED:ISID: Announcements 2003 (08): Humanitarian Univ. Consort.) was founded to support the development of initiatives associated with economic, social, cultural and humanitarian issues worldwide. Our mission is to serve as (1) an international community of scholars, (2) a bridge between Humanitarian Resource Institute and the international academic community, (3) a think tank in support of the United Nations programs and (4) the promotion of higher learning through both traditional and distance education. 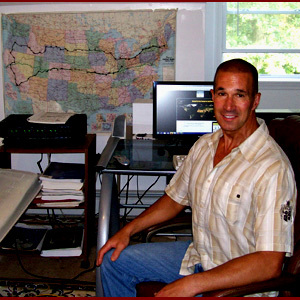 As an artist, publisher with American Society of Composers, Authors and Publishers (ASCAP), founder/director of the International Dancescience Development Program, efforts to better reach the grassroots household level led to the promotion of "Arts Integration Into Education" through the HRI: United Nations Arts Initiative. The mission, utilizing artists, who have the innovation, creativity and a connection with the grassroots level as a bridge, to lead U.S. and international humanitarian relief efforts and policy development. In 2010, the Humanitarian Intervention Initiative (H-II) was established to support strategic planning, development and stabilization of humanitarian emergencies that were beyond the operational capacities of the United Nations, non-governmental and relief organizations. In 2011, this led to training as an Anti-Terrorism Officer (L-3 S2 Institute), and advanced studies through the NATO Joint Advanced Distributed Learning (JADL) and SOF Training & Education Programme (NSTEP). Today, optimization of defense logistics and resource capabilities for humanitarian operations is coordinated through H-II OPSEC Defense & Security Consulting. We would like to request your support of organizations that collaborated to make the Tour de America project a success. Across America, the greatest need was the articulation of the unmet needs. It was from the cross section of unmet needs, presented in 100's of cities across America, that Humanitarian Resource Institute was formed in 1994. Today, policy initiatives facilitated by Humanitarian Resource Institute and the United Nations Arts Initiative impacts 193 United Nations member countries. "The World Can't Respond, If The World Doesn't Know"
oriented strategic planning and development across the globe."